Sprint bought a one-third stake in Jay Z’s streaming music service Tidal, after beginning discussions in April 2015. 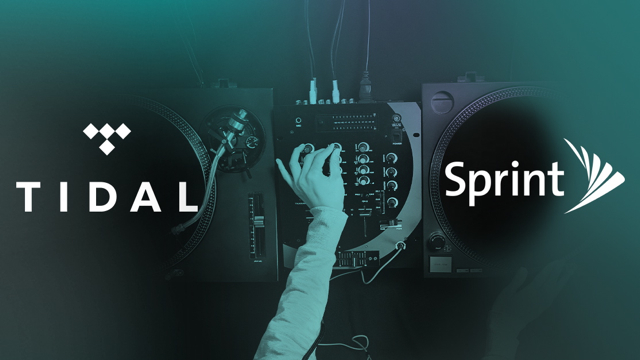 Sprint has not offered details on how much it paid or what the partnership entails, although it says that its subscribers will now have access to Tidal content and that Tidal and its artists will create content specifically for them. Jay Z has stated that he and Sprint share the view of allowing artists to connect directly with fans. Sprint chief executive Marcelo Claure will join the Tidal board of directors. The Verge reports that Claure says the deal will “enable Sprint to offer new and existing customers access to exclusive content and entertainment experiences in a way no other service can,” in this company press release. The purchase follows on the heels of the report from a Norwegian newspaper, Dagens Næringsliv, saying that Tidal has been “inflating its subscriber numbers,” detailing that the company’s March 2016 claim of 3 million subscribers contradicts “internal documents” showing 1.2 million activated accounts and 850,000 subscribers. As of October 1, paying subscribers were said to number 1.1 million. MIDiA Research analyst Mark Mulligan notes that, “The Sprint deal gives it access to a big customer base, free marketing and a war chest to take on the streaming incumbents.” Last year, Aspiro, Tidal’s holding company, reported a $28 million loss in 2015, so the deal came just in the nick of time.